A popular and high achieving primary school in Southfields is to take in additional pupils after proposals for extra classrooms were granted planning permission. Sheringdale School in Standen Road will be able to admit an extra 30 local children every year, while teaching facilities for existing pupils will be enhanced with the construction of a new two storey extension to the school building. The extension will accommodate eight new modern classrooms and enable a temporary classroom to be removed from the school site. The new classrooms will allow the school roll to rise from 285 to 405 and help address growing pressure on school places in Southfields. According to Ofsted inspectors who visited the school in February, Sheringdale is an “outstanding” primary school. They concluded: “Outstanding teaching ensures that pupils make rapid progress and achieve exceptionally well whatever their starting points. Standards at the end of Year 6 are significantly above average in reading, writing and mathematics. The council has taken firm steps to provide additional classroom places across the borough for four and five-year-olds, in response to the steady increase in the annual birthrate. Between 2002 and 2011 the number of children being born in the borough rose from 4,080 to 5,477. 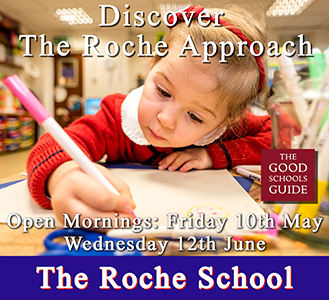 Over the past three years more than 25 additional reception classes have opened in schools across the borough to meet the growing demand from parents. Extra classes will be available this September at Smallwood, and Granard schools, while three new free schools have also opened in Tooting, Balham and Roehampton. Wandsworth’s education spokesman Cllr Kathy Tracey said: “Sheringdale is a really popular primary school that’s rated outstanding. Providing these extra places will help meet the demand of parents in this part of Southfields who want their children to attend a really friendly, excellent and very high achieving school. The growth in demand for primary places in Wandsworth is not only due to an increased birth rate, but also because of sustained improvements in teaching and learning at local schools. School standards watchdog Ofsted currently rates 95 per cent of Wandsworth schools as good or outstanding, ranking the borough equal second nationally behind the City of London. In comparison only an average of 80 per cent of schools in other parts of the country, and 85 per cent in London, have been given the same quality rating by Ofsted inspectors. In 2013 Wandsworth’s primary schools achieved the equal fifth best combined Key Stage 2 reading, writing and mathematics combined results across England. Wandsworth also had a higher proportion of pupils than nationally making the expected levels of progress in reading, writing and mathematics; being ranked equal second nationally in reading with 94 per cent, equal second nationally in writing with 96 per cent, and equal third nationally in mathematics with 94 per cent. The 2014 results are expected to be equally as strong. Fantastic to see how well our state schools are performing! Thank you for all the amazing hard work put in by all the heads, teachers and everyone else involved with our Wandsworth schools that is helping our children to achieve these great results! Tremendous news. I echo your sentiments Laura. Can Councillor Tracey provide some information about what Wandsworth is doing to improve standards in secondary schools please. When our daughter was doing secondary transfer in 2010 we could not find one school in Wandsworth that we were were prepared to put on the application form. It was really very disappointing. We could not find one single school at that time (except for Graveney and she wouldn't have made the top stream) that could confirm they would offer triple science, a good choice of MFL and a classical language. Can Councillor Tracey please explain how a comprehensive can claim to cater for all abilities when clearly the needs of the most able children are simply not being met. What also is Wandsworth doing to improve standards at St Cecilias. It was a great hope for many local people but has been a terrible disappointment not least because of the dreadful behaviour that is seen on the streets and has been reported in the press. It just seems such a waste when it ought to be competing with the very best of the church schools.